What to Do When You Suspect a Debt Collector Is Fake | The Consumer Law Group, P.C. It’s not always easy to keep up with everything you owe. The average consumer has a mortgage, car loan, student loan, and balances on several credit cards, not to mention utility bills and medical bills. When someone calls and tell you that you are past due on an account, you may not be surprised and you may believe them too quickly. In recent years, according to the Federal Trade Commission (FTC), this has become a common scam. Imposters convince consumers that they owe money and coerce them into giving a credit card number or bank account information over the phone to cover the bill and avoid penalties. Don’t let this happen to you. Ask the caller for his name, company, street address, and telephone number. You are within your rights to request a written notice of the debt under the Fair Debt Collection Practices Act. Inform the caller that you will not respond until you get the information in writing. If a caller refuses to give you this information, do not pay! Even when you have paid a fake debt collector, he may still keep bothering you. He may have you pegged as gullible enough to try it again. Do not pay a debt collector until you have detailed information about him and you have verified that the debt is yours. Stop speaking with the caller. If you have the caller's address, send a letter demanding that the caller stop contacting you, and keep a copy for your files. By law, real debt collectors must stop calling you if you ask them to in writing. Do not give the caller personal financial or other sensitive information. Never give out or confirm personal financial or other sensitive information like your bank account, credit card, or Social Security number unless you know for sure who you're dealing with. Contact your creditor. 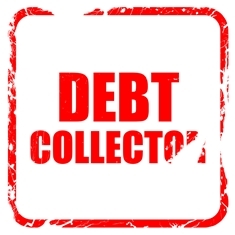 If the debt is legitimate, but you think the collector may not be, contact your creditor about the calls. Share the information you have about the suspicious calls and find out who, if anyone, the creditor has authorized to collect the debt. Report the call. Contact the FTC and the Virginia Attorney General's office with information about suspicious callers. You may already know how to protect yourself from bogus callers, but oftentimes older loved ones do not. Make sure senior parents or grandparents understand that they should never give information out over the phone. A legitimate creditor or authorized debt collector will have the information they need to collect your debt. There is no reason for them to ask you for account numbers or other sensitive information. If you have been the victim of one of these scam artists, contact The Consumer Law Group to see if there is anything that can be done. We are in your corner.